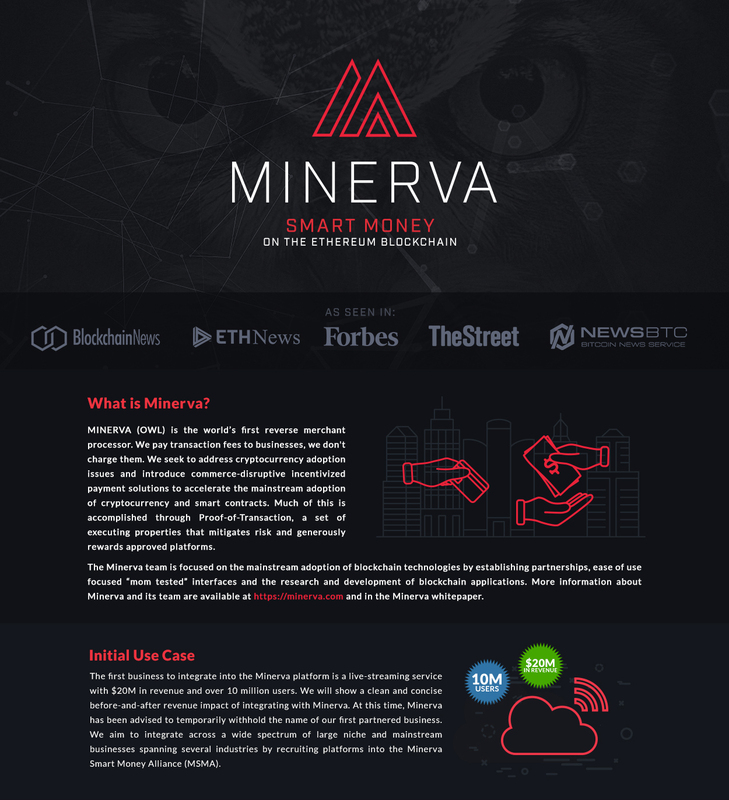 Join our Signature Campaign to help spread the word about Minerva on Bitcointalk. In return for your contribution you will be rewarded Tokens. Only members ranked Jr. Member and above are accepted. Earn Tokens as a Reward for liking Minerva Facebook Page and sharing Minerva Official Announcements. 3. You must be an active and regular Facebook user, and must be sharing and liking Minerva official posts and updates. Earn Tokens as a Reward for Tweeting about Minerva and for Retweeting Minerva Official Announcements. 2. Make at least 5 retweets/tweets a week, essentially all the important announcements. 3. Must make at least 5 tweets or retweets about Minerva per week. Earn Tokens as a Reward for joining the Minerva Telegram Group so you can always find out the latest announcements and developments. 1. You must register a real account, and only one reward per telegram user and Bitcointalk user. 2. Be active at least once a week. 3. Fill the Form above with your telegram username and Bitcointalk username, submissions will be manually verified. 4. 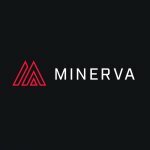 External posts should link to either Minerva Website or Minerva Official Announcement. Earn Tokens as a Reward for translating Announcement Thread of Minerva by moderating the thread and keeping it active by posting regular updates, news or any important announcements in the localized Announcement thread. 1. Translation should represent original work, if you use tools such as google translate, automatic translators and so on, your submission will be rejected and blacklisted. 2. For stake counting, only the posts of the OP are counted towards Moderation activity. Translators should be active, if OP becomes inactive, another Moderator will be hired for updating and moderating the thread. 3. Do not make unnecessary multiple posts to increase stake numbers, this will result in the posts not to be counted and a penalty. Increasing post count by making unnecessary posts is not allowed, and these kind of posts will not be counted. 4. Bounty Manager and the Team reserve their right to make changes to these terms or apply new ones. Setting up a Local Telegram Channel for your language: 1 stake/member at the end of the Campaign. Posting the translated Announcement in local cryptocurrency Forums will be rewarded with 5 - 25 stakes / Website, depending on popularity it gets. For Chinese, Japanese, Korean and Russian website where you post the rewards will be 2x. Earn Tokens as a Reward for creating quality Reviews, Articles or Videos about Minerva that include information about the ICO or Participation Instructions. *For this particular campaign, Articles being published in Chinese, Russian, Korean and Japanese on News Websites / Popular Blogs and/or CryptoCurrency Related Websites, will get additional rewards, proportional to the generated traffic. Chinese, Russian, Korean and Japanese have 3x rewards if they drive good traffic. The Minerva Team has prepared a special Steemit Challenge. The Challenge is related to pictures, drawings, video animations and gifts. We would like to see graphic containing the Minerva Owl and his adventures. Keywords: Owl, Minerva (Roman Goddess), "Smart Money"
1. For the Community Choice, a Poll will be set up after a designated time, before the end of the Campaign. 2. Only Original Artwork will be accepted. Copying someone else's work will result in disqualification. 3. Several submissions are accepted per User, but only one Award can be won by a single user, regardless of submission number. 4. 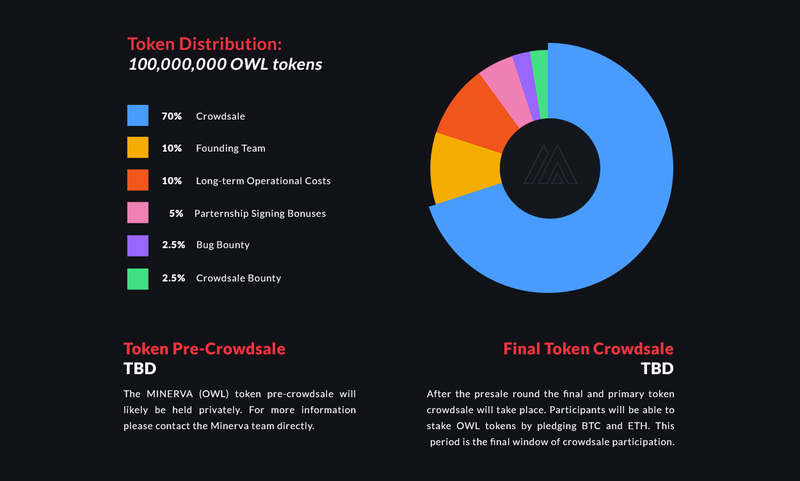 The first three Places will be selected by the Minerva Team. 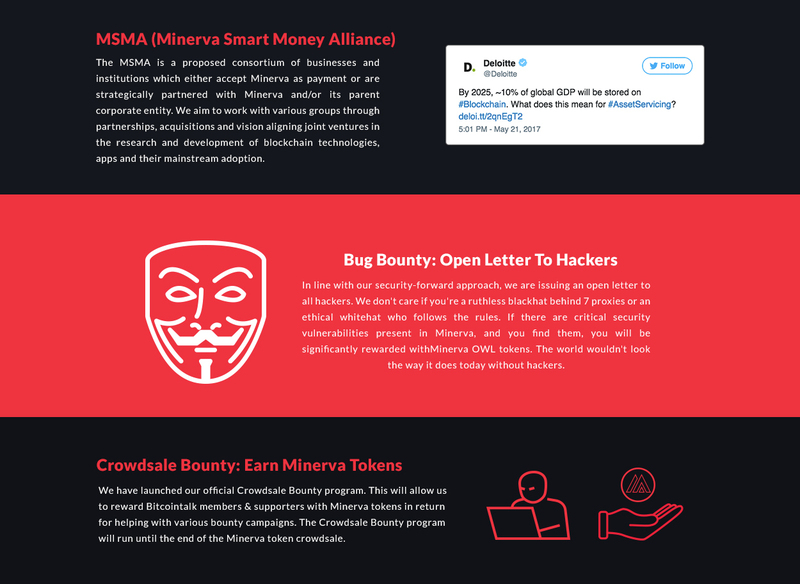 This portion of the bounty is awarded to affiliates and individuals with significant contribution to the Minerva project. It is under the company's discretion which affiliates and individuals will be rewarded. You can submit any kind of proposals you think are not included in any other Bounties that Minerva is running.